A big four-games-in-one experience like .hack//G.U. Last Recode has the potential to fall down at some point in its long journey. As a package of three games that were released separately when they first came out with a brand new experience on top, I initially wondered if they’d work well played back-to-back, as well as how a much newer addition to the series would feel beside the older ones. Luckily for Last Recode, each volume contained plenty of new things and variation to keep things interesting, with each feeling like a new chapter for the characters and story growing in each one, building to a big story journey that felt very complete. 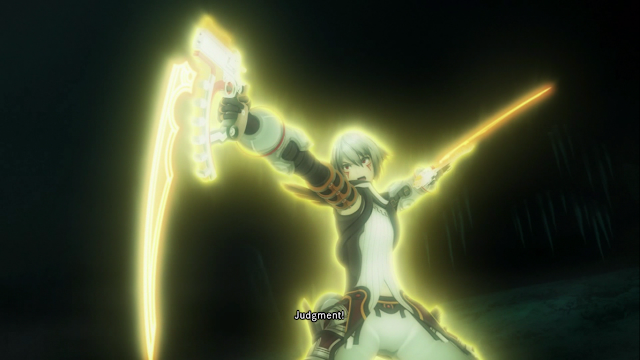 With engaging reactive combat on top and a story with plenty of character growth, Last Recode’s smoothness makes .Hack//G.U. pass the test of time well and is an old story I’m glad I could experience in its upgraded form. .hack//G.U.’s story is based inside an online game called The World R:2, a popular MMORPG that the protagonist Haseo is trying for the first time at the start of the story that is more than what it seems. He loses his friend Shino after a mysterious player called Tri-Edge player kills her in the game and manages to put her into a coma in the real world, along with a group of other people who have suffered the same fate known as the Lost Ones. Haseo is also Data Drained back down to level one by the same attacker, but despite this he sets out on a quest for vengeance against Tri-Edge to bring back his friend, and the story follows this and various evolution's to the concept throughout its four volumes. G.U.’s story revolves around Haseo for the most part whose growth from an inconsiderate hero to a much more reliable one throughout the volumes is one of the highlights of the story, but I found the entire cast is very enjoyable. Vastly different characters ranging from the sweet Atoli, the romantic arena Emperor Endrance or the girl-chasing yet morally just Kuhn leave plenty of variety to be found in characters in personality and their openness in the online game made it easy to find something to connect to in most of them. Additionally, with most of the characters being introduced in the first volume, I became more interested with different characters in each volume, which made me very emotionally connected to where the story was going. There are over 10 main characters in the main cast of .Hack//G.U. and each had multiple layers to them that affect Haseo’s journey in different ways, which is the icing on the cake to Haseo’s personal growth in G.U.’s multiple arcs. Much like the story, the first volume of .hack//G.U. establishes core gameplay mechanics that it builds upon throughout its four volumes. It features an active battle system that seemed fairly simple at first with only four abilities being available to use during each battle, but became much more fun and engaging to play with as I came to understand how timing plays an important role. By using abilities, you have a chance to dodge, stop or delay an opponent’s attack by timing your skill usage to when an enemy is about to do an attack. There are also special attacks to build up by doing enough chain attacks to do double the damage of regular skills and those eventually fill your party’s Morale gauge up enough to do a powerful and satisfying Awakening attack. These multiple battle actions might sound a bit to keep track of, but since these mechanics are the main battle mechanic of all four volumes, by the time I was at the last two volumes I knew how to approach most battles and had some kind of rhythm with using the mechanics. While there are a few different varieties of Awakenings and weapon-changing mechanics to add interest to the familiar system in each volume, this also meant in the last two volumes I was quickly becoming less amused with the system, with the final volume seeing me skip battles whenever I didn’t need the experience. 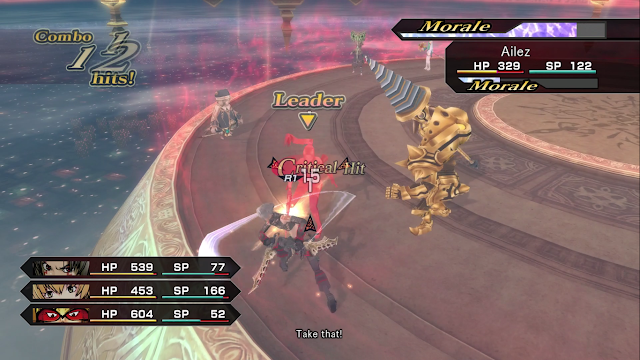 Thankfully, G.U. doesn’t put you through too many extra battles thanks to most of the story dungeons progressing levels at a very appropriate rate and its convenient Area Words feature being capable of spawning the right dungeon to grind to the level needed very quickly, even if there are only so many dungeon landscapes to explore. Despite its sometimes repetitive feel, I thought it was a fun system that probably wouldn’t have felt as tired in each volume's initial more separated releases when .hack//G.U. first came out rather than as Last Recode’s all-in-one package. Aside from dungeon crawling, since .hack//G.U.’s world is set in an MMORPG world, it features a lot of what you’d expect from both an RPG and an online community, with plenty of world building in side activities available for those who want to dive in deeper. 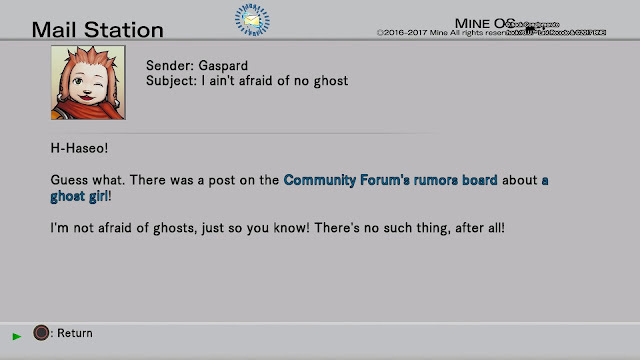 The story often progresses when Haseo receives an email from his friends and this constant back and forth between characters both inside the game World and his inbox is a good way to get to know the characters outside of cutscenes. The subtle social mechanic allows you to reply to certain characters as you do things like put them in your party to build your relationship and is an unobtrusive way to get to know the cast at your own pace, with these relationships not affecting the story but just giving a deeper understanding to the characters behind the Avatars. There’s also a Battle Arena, plenty of side quests and a card mini-game to play outside of the main story that are fun things to do on the side and give plenty to look forward to for those interested in replayability. 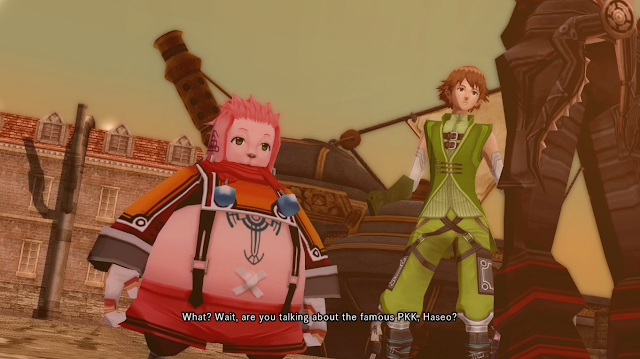 Speaking of replayability, my favourite outside of story aspect were the forums and news sites that Haseo can access that link the online and offline world together with current events and a view into how The World is affecting the bigger picture of things with written articles and online video that detail them. There are also rumours on the in-game forums that give Area Words to help grind and explore small mysteries in the online world that give an insight into how players aside from Haseo and the main cast view The World and its bigger events. I haven’t played a story like this that gave so many options to go even further into the story and the amount of lore I left behind as I moved through the main story is something that sits in the back of my mind as a reason to return to it at my own pace someday. One of the biggest attractions of .hack//G.U. Last Recode is its new fourth volume and after playing its first three volumes, I felt it was mostly a cherry on top of an already well-developed world and story. The fourth volume is about four to five hours long and manages to give an update on the main cast, as well as giving a big epic ending to the four game saga and giving Haseo some cool and powerful battle skills and visuals to end everything with. For the first three volumes, I thought everything felt very smooth and although outside of the nice cutscenes it isn’t as beautiful as most PS4 games, it runs very smoothly with moving from place to place feeling nice and snappy. The fourth volume however debuts an interesting anime style that seems to be choppy on purpose and while it fits contextually enough with the story, between the gameplay visuals being the same as the previous three, I found this sudden change in style somewhat distracting. 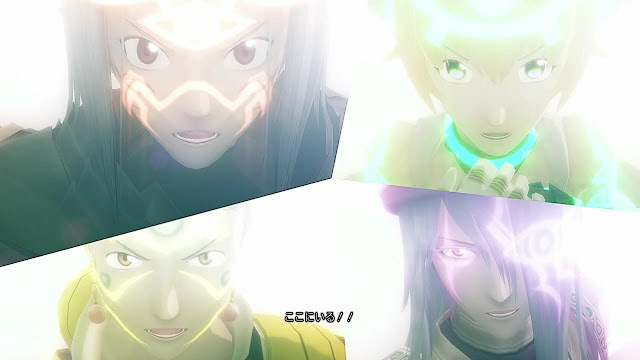 However there are also gorgeous moments in the final cutscenes of Last Recode that created an epic and aesthetically pleasing finish to the experience as a whole and I appreciated being able to have one last adventure with the group of characters I’d felt a big connection to for 60 hours and it felt like a powerful finish to everything as the final credits rolled. This 65 hour journey into the rabbit hole that is .hack//G.U. is one I left feeling very satisfied with. The four volume saga had a deep story to tell and I really felt like I could get to know the characters well with all the volumes at my fingertips. Although the battles and dungeons felt a little repetitive playing everything back to back, I liked the ideas behind them and the way they grew and changed throughout all four additions, especially how powerful battles felt in the new final volume. This look into the epic story that is .hack//G.U. 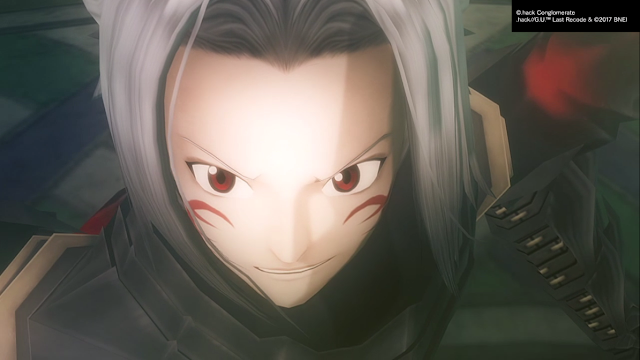 has made me hope there will be on .hack// on current gen consoles someday and G.U. will be a story epic enough to stay with me for at least a little while. An unexpected remake with plenty to dive into that will hopefully be played by many who haven't witnessed its epic story saga. You can pick up .hack//G.U. Last Recode on Amazon! Did you play Last Recode? What did you think of it?